Basic support to view PDF files in the Amazon Kindle app was added with the new update. 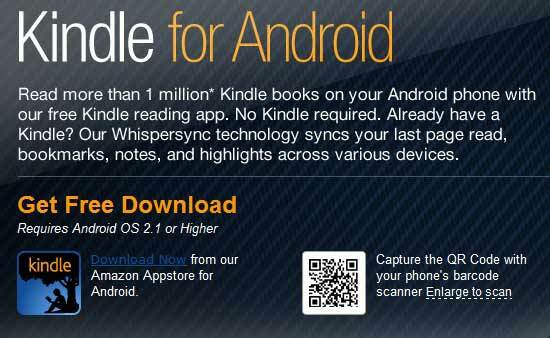 Amazon rolled out two new updates of its Kindle application for Android devices. The Amazon Kindle App offers a library of several free and paid books on Android devices but supports only specific file formats. With the new Kindle App for Android v3.3.1.1, users will be able to add and open Pdf files to it. This is great news for those who have several eBooks and other documents in Pdf format. The app will now display Pdf documents but the implementation is very basic. Users can only zoom or turn pages and do not have other fancy features for those Pdf files. Unfortunately, the Pdf support feature is not up front, which means that users will have to navigate to the Pdf file on the smartphone and then choose 'open with Amazon Kindle App' to read the document. Apart from that, the update will let Android smartphone users customize their reading experience with new Margin and Line Spacing controls. Of course, support for Android 4.0 smartphones has been added but it came too soon. Several bug fixes have had to be made.